BLOOMINGTON, Minn. – Feb. 5, 2019 – Following Week 18 of the 2018-19 season, the women's Western Collegiate Hockey Association (WCHA) is proud to recognize four student-athletes as the WCHA Players of the Week, Powered by GoodWood Hockey. 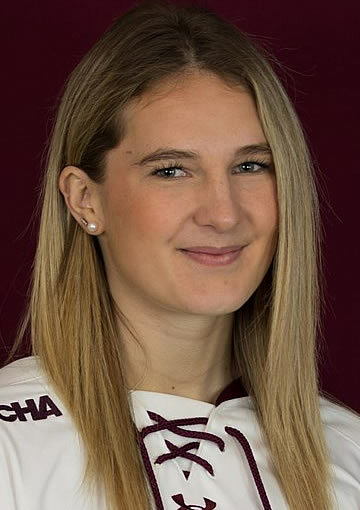 The honorees for games of Feb. 1 -3 are: Minnesota Duluth freshman Gabbie Hughes (Forward) and junior Maddie Rooney (Goaltender), Bemidji State sophomore Tina Kampa (Defenseman) and Ohio State freshman goaltender Andrea Braendli (Rookie). Gabbie Hughes led the Bulldogs with an NCAA and WCHA rookie best four points on a league-tying best two goals and two assists. She ranked sixth in the NCAA among all scorers on the weekend and also tied as the WCHA's top scorer last week. The Lino Lakes, Minn., native netted a goal in each game, including a highlight reel worthy tally in UMD's 3-2 win Saturday, and figured in four of the Bulldogs six goals on the weekend. Hughes has now scored five goals and recorded three assists against Minnesota this season –including a goal in each game – in five games against the Gophers. Hughes has also now totaled 19 points (10g, 9a) against 15 teams ranked in the top-10 this season. This is Hughes' third weekly honor this season. She has now been voted Forward of the Week twice to go with one Rookie of the Week selection. Honorable Mention: Kiki Radke, Jr., Bemidji State (led the Beavers with two points on a pair of assists as BSU split with then-No. 1 Wisconsin over the weekend); Sarah Potomak, RS-Jr., Minnesota (tied for the WCHA lead with two goals and a 1.00 gpg average over the weekend); Emma Maltais, So., Ohio State (notched a team-high four points on a goal and three assists in the Buckeyes' sweep at St. Cloud State); Sam Cogan, Sr., Wisconsin (scored twice in Wisconsin's 4-0 win at Bemidji State is now one point shy of becoming UW's 25th career 100-point scorer). Bemidji State's Tina Kampa led the NCAA with 13 blocked shots in the Beavers' split with then-No. 1 Wisconsin over the weekend. She blocked six shots in Friday's series opener and seven more on Saturday. The Maple Grove, Minn., native leads the squad with 62 blocks this season, which ranks third in the WCHA. Kampa's seven blocks on Saturday is a new career high and equals the most by a Beaver player this season. 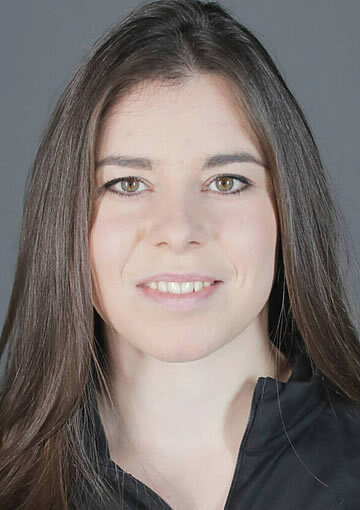 Honorable Mention: Jincy Dunne, RS-Jr., Ohio State (recorded two assists in the Buckeyes' sweep at St. Cloud State, tie for the league lead among blueliners while blocking seven shots in two OSU shutouts); Mekenzie Steffen, Jr., Wisconsin (scored her 50th career goal in the Badgers' Friday contest at Bemidji State and finished +3 on the weekend to rank second in the league in that category). Minnesota Duluth's Maddie Rooney made and NCAA-best 81 saves on the weekend as UMD split a pair of road contests with then-No. 2 Minnesota. The Andover, Minn., native stopped 42 shots in Saturday's win, the sixth 40-plus saves game she has recorded against the Gophers in her Bulldog career. Rooney posted 39 stops on Sunday. 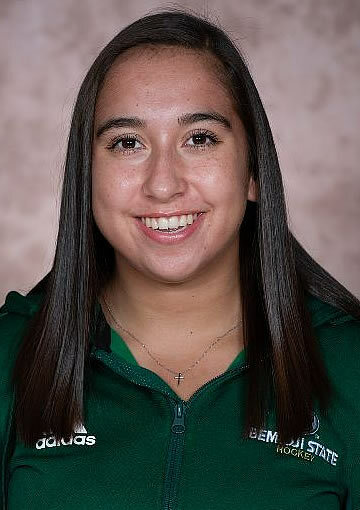 Honorable Mention: Lauren Bench, R-So., Bemidji State (stopped 29-of-30 shots in Bemidji State's win over then-No. 1 Wisconsin on Friday); Andrea Braendli, Fr., Ohio State (posted back-to-back shutouts to lead Ohio State to a sweep of St. Cloud State); Kristen Campbell, Jr., Wisconsin (posted her third shutout of the season on Saturday, stopping 15 shots in the win). Andrea Braendli was a brick wall in net for the Buckeyes, not allowing a goal in their series at St. Cloud State. The freshman stopped all 22 shots she faced in the opening game, and then tallied 28 saves in the series finale to secure the full weekend clean sheet with 50 total saves. Her two shutouts led the NCAA for the weekend. 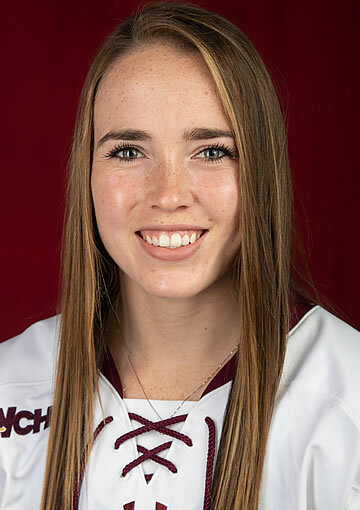 Honorable Mention: Taylor Heise, F, Minnesota (recorded three assists in Minnesota's split with Minnesota Duluth to lead all WCHA rookies in that category over the weekend).